Here, mentally handicapped patients live in pavilions spread across the entire grounds and linked by a circulation corridor roughly one kilometre long and raised up a full 5 metres on concrete piers. 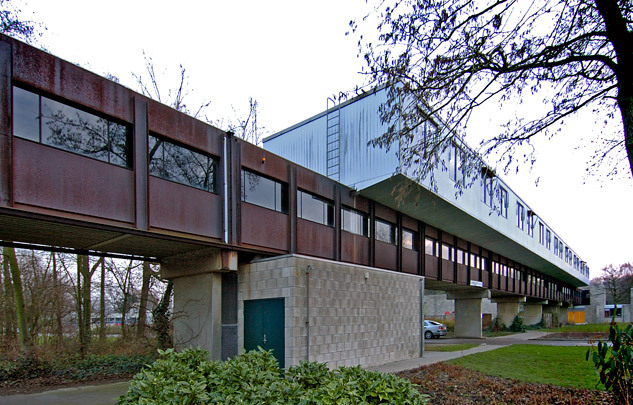 The staff live in movable prefab cabins ranged along this Corten steel bridge. A medical wing, therapy rooms, a communal hall and a central kitchen round off the complex.